Districts are in the thick of finalizing their Local Control and Accountability Plans (LCAPs), which must be completed by June 30. This is a key moment to get involved in that process and advocate that every student in your district has access to a complete education that includes the arts. 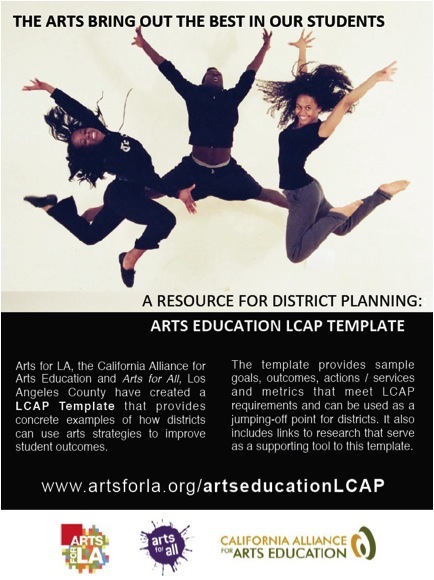 Are you already up to speed on LCFF and LCAP? Keep us in the loop and let us know what your district is doing around LCFF and LCAP so we can help spread the word. Calling all education advocates! California is about to undergo a monumental shift in the way our state funds our public schools. It is a win-win solution for every student attending public school in our state. But your voice is needed to ensure your student receives the benefits of this new formula. 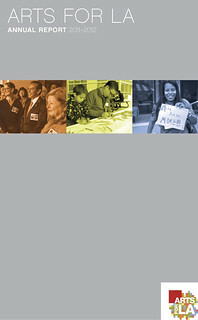 Arts for LA is pleased to announce we have compiled a comprehensive Annual Report detailing our activities over the course of the last year. 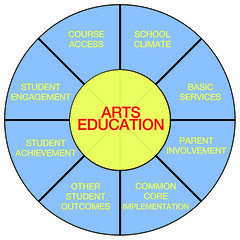 Arts education supporters who want to help survey school board candidates this fall can log into a free training webinar hosted by California Alliance for Arts Education on September 6.